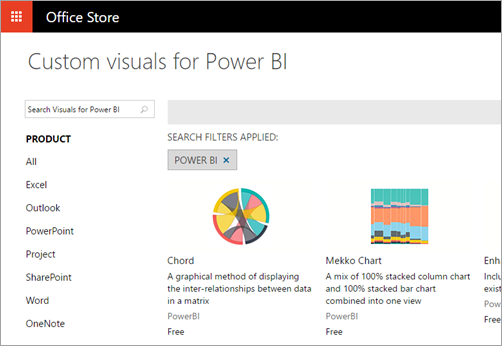 What can developers do with Power BI? Developers have different options trying to include Power BI content into applications. As a developer, you can use these options include embedding with Power BI, custom visuals, and pushing data into Power BI. The Power BI service (SaaS) and the Power BI Embedded service in Azure (PaaS) have APIs for embedding your dashboards and reports. This feature means you can access the latest Power BI features – such as dashboards, gateways, and app workspaces – when embedding your content. You can go through the Embedding setup tool to quickly get started and download a sample application. Embedding for your customers provides the ability to embed dashboards and reports to users who don't have an account for Power BI. Run the Embed for your customers solution. 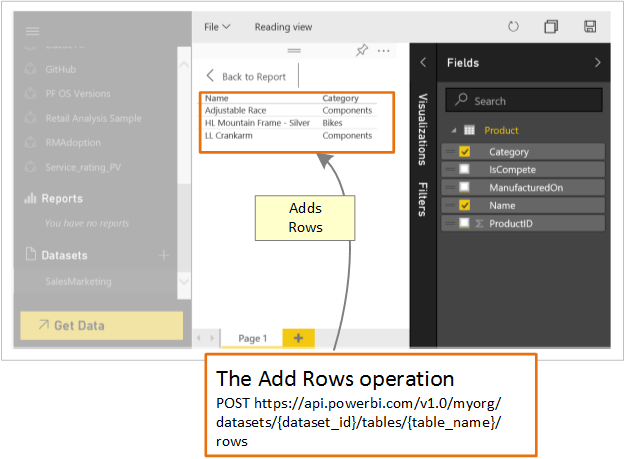 Embedding for your organization allows you to extend the Power BI service. Run the Embed for your organization solution. 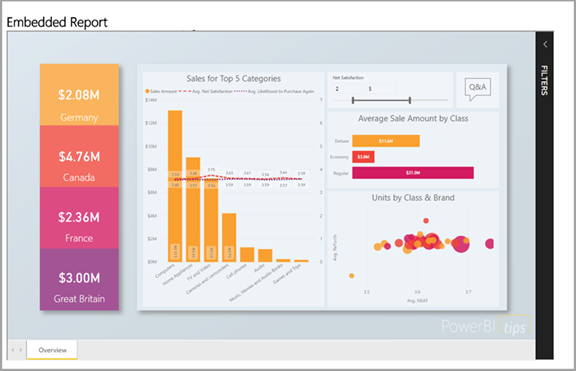 To learn more about embedding with Power BI, see Embedding with Power BI. You can use custom visuals with Power BI to create a unique type of visual that’s tailored to you or your company. Often these custom visuals are created by developers. They're built when the multitude of visuals that are included with Power BI don’t quite meet your needs. To start learning more about custom visual development, see Developing a Power BI custom visual. Power BI displays dashboards that are interactive, and can be created and updated from many different data sources in real time. Using any programming language that supports REST calls, you can create apps that integrate with a Power BI dashboard in real time. You can also integrate Power BI tiles and reports into apps. Developers can also build their own data visualizations that can be used in interactive reports and dashboards. To see some of the things you can do with the Power BI APIs, see What can developer do with the Power BI APIs? What can developers do with the Power BI API?